Impressive, most impressive. That was the sentiment given by Joe Rogan after reigning bantamweight kingpin TJ Dillahsaw successfully cut down to flyweight. The longtime UFC commentator took to Twitter shortly after the UFC Brooklyn weigh-ins where he praised “Killashaw” for coming in under the flyweight title fight limit of 125-pounds. The current 135-pound king, TJ Dillashaw, will be looking to make history tonight at the Barclays Center in New York by becoming the fourth “champ champ” in promotional history. If Dillashaw can defeat current UFC flyweight champ Henry Cejudo in tonight’s main event, he will become the first champion in UFC history to move down a weight class and claim a second belt. 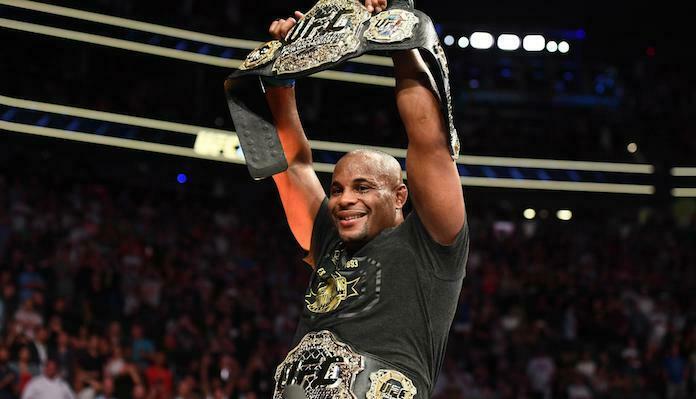 Daniel Cormier, Conor McGregor and Amanada Nunes were all moving up in weight when the claimed their respective second division titles. Like most fight fans, Joe Rogan is chomping at the bit to see tonight’s highly anticipated super fight. The respective champions, Henry Cejudo and TJ Dillashaw, were both most recently seen in action at August’s UFC 227 event. That evening in California, Cejudo dethroned longtime flyweight kingpin Demetrtious Johnson via a highly disputed judges split-decision ruling. As for TJ Dillashaw, the UFC’s bantamweight champion picked up his second career knockout victory over Cody Garbrandt on August 4. “Killashaw” will enter tonight’s flyweight title fight on a four-fight win streak. As for Henry Cejudo, the former Olympic Gold Medalist has won three in a row. Were you as amazed as UFC commentator Joe Rogan that TJ Dillashaw was able to make the flyweight title fight limit of 125-pounds for tonight’s fight with Henry Cejudo at UFC Brooklyn? Sound off in the comments section PENN Nation!